One legend is reflected in the Old Testament speaks of the Prophet Noah and the Flood. God saw how quickly began spreading the seeds of evil and then he decided to punish them. And he said to the Prophet Noah, that he made a ship and landed on the ship a pair of each animal on each pair of birds, and friendly men and women. And then began the great deluge, the ship of Prophet Noah and all living creatures on it were rescued and the rest were flooded with water. When the deluge ended Prophet Noah released a dove from the window of the ship to see whether the flood was over. Since water had a lot and dove returned to the ship. Seven days later Noah sent the dove out again. At this time the dove flew, holding in its beak a sprig of olive tree. Then Noah knew that the waters retreated and the land dried up. Since then and to this day, a dove with a sprig of olive tree is a symbol of hope and peace. Flooding has been a destructive force, but the resistance of the olive tree has made her immortal. The Old Testament "Olive oil is a symbol of wealth and abundance, " according to the Old Testament, olive oil is a symbol of prosperity and abundance. And not just in the Old Testament, but also in other holy books say that the olive tree and olive oil is a symbol of abundance, justice, health, pride, victory, prosperity, wisdom, mind, cleansing and rebirth, hence, for humanity is a symbol of strength and values. In the book of Judges mentions the legend which says that when the trees are chosen king, the first thing addressed the olive tree: "The trees in the meantime went to choose a king, and said the olive tree: you shall be our king. " olive tree said unto them: I praise God and humans, so they can not leave. Having the answer is "no" from the olive tree, and then they went to ask a fig and grape trees. However, figs and grapes under the same pretext refused to become king. In the Book of Judges, this story ends so that the trees chosen king bush, which accepted their offer. Greek and Roman Mythology , First of all, in Greek mythology, the olive tree is a symbol of abundance and peace, this gift received from a goddess. According to legend, the god Zeus in the city of Attica, is organizing a competition. Brought to the competition is the best gift will be defender of the city of Attica. The competition was attended by the god Poseidon, the god Zeus and his daughter Athena. Poseidon pulled from sea a horse. This was a horse that could carry heavy loads and has been useful in wars. 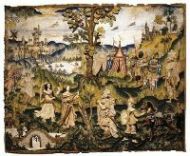 The queue comes to the goddess Athena, it pulled out from the land of the olive tree and won this competition. Thus, the goddess was the protector of Attica, and then gave the city its name. According to mythology, the goddess Athena gave the olive tree Attin’s as a symbol of peace and civilization. Instead of horses, they chose the olive tree, with this choice, people changed their nomadic lifestyle to a settled, rather than plunder and war have chosen peace. 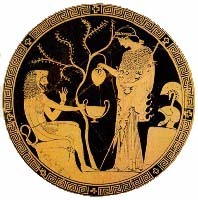 Intelligence, science and art represent the best-known characters, who blessed the goddess Athena with the olive tree. The legends of the olives are not the end. According to another legend, this tree is guarded by soldiers, during the invasion of the Persians Acropolis was burned down in 480 B.C.. After the invasion, the ruins of the Acropolis began to sprout branches of olive trees, which have been re-planted throughout Greece. This is the reason that all the olive trees propagated from the first olive tree of Athens. 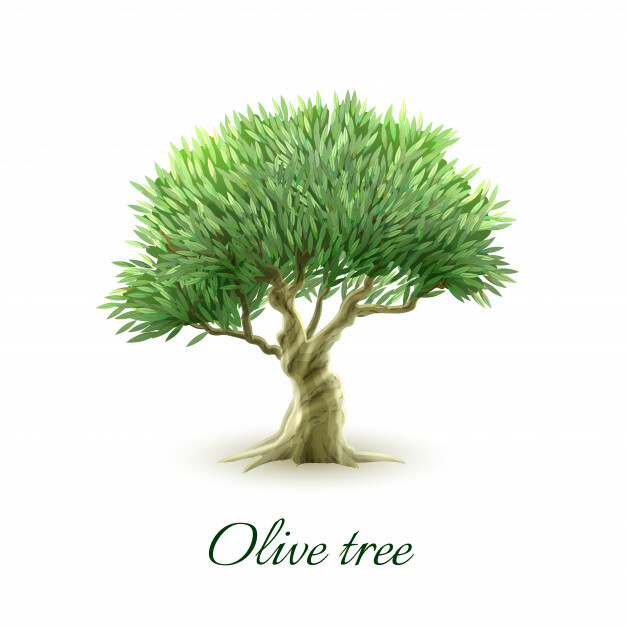 According to the ancient Greeks, if born under an olive tree, then you have a sacred mark. In addition, in epic poetry of Homer olive tree and olive oil are decorated with rich imagery and parables in the 8 th century B.C.